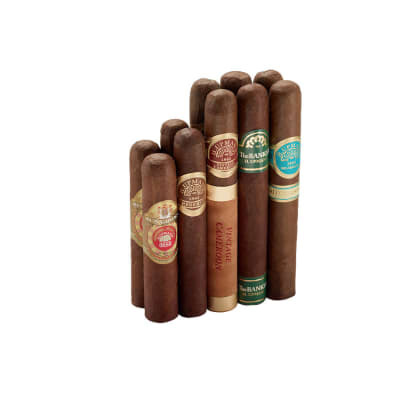 Our Best of H Upmann Sampler No. 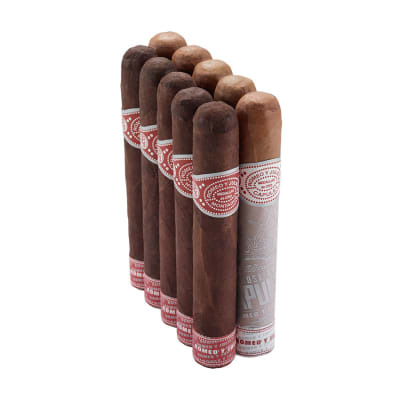 1 is, well, numero uno for a reason: we've weaved both the classic nuances and the big, new H Upmann blends into one take-home treat. 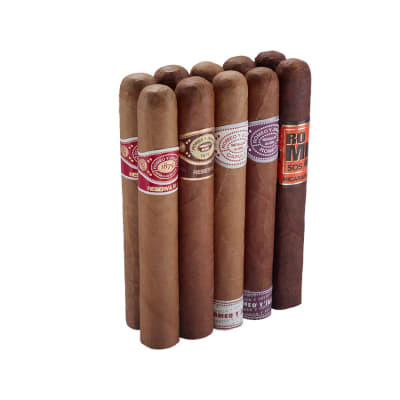 Thrill the senses with the smooth, old school delights of the Upmann Reserve and Vintage blends, or wallop the taste buds with the more modern sensations added to this grand brand in H Upmann AJ Fernandez, the Banker and more. Two of each makes ten in all; the agreeable Famous price makes it a slam dunk. See why, after all these years, H Upmann is still something to get excited about - order your Best of H Upmann sampler today! Liked everything about this smoke!